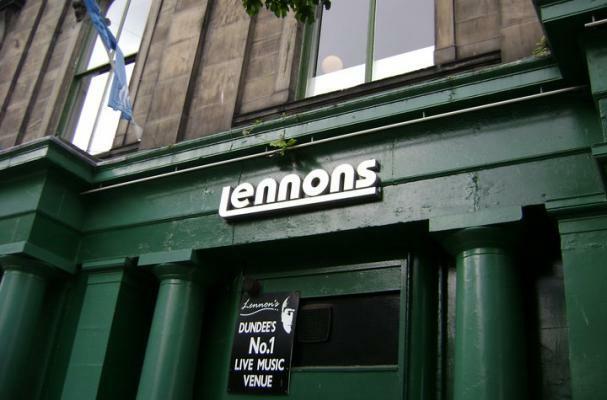 Lennon's Bar in Dundee, Scotland will soon have a new name if Yoko Ono gets her way. The Beatles widow demanded that the bar's owner, Mike Craig, remove its collectibles and change its name within 14 days or else face a lawsuit. Craig spoke out against the letter, saying, "It's ridiculous. The pub's been called Lennon's for about five years. The signs will be removed this week." Do you think Yoko Ono is right to threaten to sue Lennon's Bar for infringement on her late husband's name and fame? I think she is still the same crazy, selfish idiot she always was. Well, I understand she has a crapload of money, but unless the name "Lennons" is a registered trademark, or the Scottish version thereof, does she really have a leg to stand on? The display/use of the collectibles are a bit more touchy, though....good luck to Mr. Craig! I think you may need it. shes got the right !!! she deserves it !!" cuz she did a good job with Lennon... simple ! !